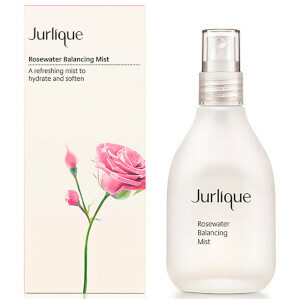 Discover an instant pick-me-up for tired skin with the Jurlique Herbal Recovery Signature Mist, a refreshing facial mist that gives an immediate moisture boost. The antioxidant-rich formula creates a protective barrier over skin to defend against environmental aggressors whilst replenishing intense hydration and banishing dullness. Lightweight and soothing, the mist creates radiant, ultra-soft and revitalised skin that is perfectly prepped for further beauty treatments. Close eyes and mist lightly over face, neck and décolletage, or spray two pumps onto palms and press onto skin. Follow with your preferred Jurlique serum, eye care and moisturiser, morning and evening. Aqua (Water), Citrus Unshiu Peel Extract, Tropaeolum Majus Flower/Leaf/Stem Extract, Achillea Millefolium Extract, Viola Tricolor Extract, Cryptomeria Japonica Bud Extract, Althaea Officinalis Root Extract, Calendula Officinalis Flower Extract, Lavandula Angustifolia (Lavender) Flower Extract, Rosa Gallica Flower Extract, Glycerin, Polyglyceryl-10 Laurate, Fragrance/Parfum*, Butylene Glycol, Propanediol, Phenoxyethanol, Ethylhexylglycerin, Potassium Sorbate, Limonene*, Linalool*, Geraniol*, Citronellol*, Benzyl Salicylate*. *From Natural Essential Oil.